If you take a peek inside our aircraft, you’ll typically find boxes; lots of boxes. But for a select number of aircraft, you’ll find something quite different. Special containers and packages carrying materials that save lives. What’s inside of these special boxes, you ask? Lifesaving medicine. 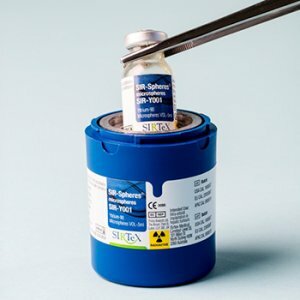 Nuclear medicine used in Chemotherapy, Radiology, and other lifesaving fields, to be exact. In 2006, Ameriflight started flying for Lantheus, a global leader in the field of medical imaging, seeing it as an opportunity to grow its customer base. Pete Schiess, Pilot Development Director, was a key driver in this new business for Ameriflight. 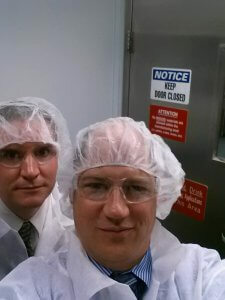 “At the time, there was only one small airline that held the exemption required to fly radiopharmaceuticals in the quantities that the manufacturers needed to move, and we saw that as an opportunity to expand and diversify our customer base. We had the expertise needed to obtain the exemption and felt we had the right equipment,” said Pete. Ameriflight continued to add routes over the next few years and soon started flying for Curium Pharma, a leading nuclear medicine provider. In 2014, Ameriflight was awarded Curium’s entire outbound charter flight system. Today, Ameriflight operates 24 routes that are dedicated to lifesaving medicine for customers including Lantheus, Curium, Cardinal Health, the Missouri University Research Center and Sirtex. Involving half of Ameriflight’s bases, the medical routes are operated six days a week. Transporting this type of cargo is quite different from regular cargo. There are special safety regulations including permits, trainings, and procedures that every person involved has to follow. Ameriflight has a series of measures, through their Radiation Protection Program (RPP), in place to ensure radiation exposure is within limits. Safety Director, Matt Payne, is responsible for managing the regulatory side of things which includes the RPP and ensuring Ameriflight complies with the requirements of the special permits and guidelines. 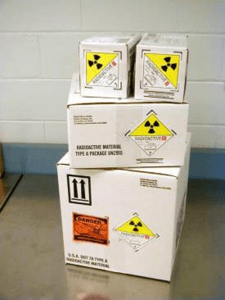 One of those requirements includes the use and regulation of dosimeters. 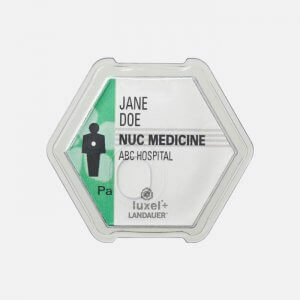 “Dosimeters are small badges assigned to pilots, loaders, and mechanics. These badges measure actual radiation exposure and are sent in for processing once a month (and exchanged for a new one). This allows us to tell exactly how much exposure our employees are getting and ensures we are staying below the OSHA limit,” explained Matt. In addition to dosimeters, flight crews are also given a tool that reads radiation exposure. It measures specific points around the airplane and records the results which are analyzed, along with the dosimeters, by Ameriflight’s Radiation Health Physicist Dr. Roy Parker. As safety is Ameriflight’s top priority, it’s important to note that “Ameriflight has never exceeded or come close to OSHA exposure limits during our years of flying this material,” said Robert Barrett, Central/East Region Operations Director. While it’s clear that safety is a factor when dealing with this type of cargo, there’s another factor that Ameriflight has to consider…time. With a life span of only 24 hours, the medicine begins to decay as soon as it’s produced. One delay could potentially spoil the medicine. 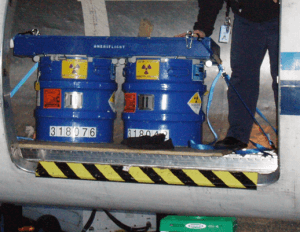 “Our flights carry the radioactive part of the radioactive dye used in medical imaging. It’s very expensive for our customers to produce. Because it has a short half-life, it also ‘spoils’ very quickly. Any significant delay could result in the product decaying before it can be used,” said Craig Ciaffoni, Chief Pilot. In fact, some of these products are so time sensitive, they are intentionally produced so that by the time the medicine reaches its final destination, it has decayed into its needed form. Getting this highly time sensitive, lifesaving medicine from point A to point B doesn’t just happen by chance. There is a team of dedicated Ameriflight employees who work around the clock to ensure these materials get delivered to the right place at the right time, every time. “Our ability to move the cargo quickly and reliably across the country is the value we provide our customers,” said Craig. Out of the 17 bases Ameriflight operates, eight of them are involved in these flights. While most of the product originates out of SUS and BED, the product is carried nationwide. “Product that originates in Bedford passes through our Louisville (SDF), St. Louis (SUS), Salt Lake City (SLC), Seattle (BFI), Dallas (DFW), Phoenix (PHX), and Burbank (BUR) bases. Buffalo (BUF) serves as the port of entry for material entering and exiting Canada. Along the way our dispatch, line service, and maintenance personnel are involved with the crews to help ensure the timely delivery of the material,” explained Craig. Once the product reaches its final airport destination, it “is picked up plane side by ground couriers to drive up to four hours to pharmacies, hospitals, and radiopharmaceutical research labs,” said Robert. From there, the product is immediately put to work saving lives through medicine and research. At Ameriflight, we like to think of our cargo as more than just boxes. It’s the story inside the box that really matters. In this case, it’s about saving lives every day. “It’s some of our most challenging flying due to the longer stage lengths. But it’s also some of the most rewarding, being able to deliver to people in need,” said Robert.